Henceforth, I shall faithfully train to strengthen my mind and body. I am willing to endure rigorous training to achieve my goal. As my strength increases, I shall seek to cultivate a gentle heart. I shall not use my skill outside the dojo except in the most extreme circumstances. At all times I will try to avoid inflicting injury upon another person. I will not brag about my skill nor use it maliciously. I shall train with the spirit of humility. Safety is our priority. 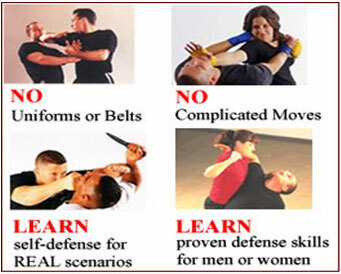 To request a self defense class, email or phone in your request.